A week in May from £182 and a week in June from £273 – accommodation in a standard mobile home (upgrades are available). Holiday prices are for the whole family and not per person and kids go free. Kids clubs, sports & games, swimming pools. 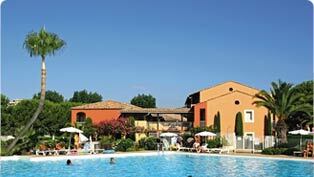 Stay in a PV Holiday Village – self catering family apartments in France and Spain with kids clubs, aquafun, sports and activities. English speaking childcare clubs full of fun sports and activities. Book before the 30 May 2012 and save up to 400 euros off the apartment cost. Wide range of dates available even school holidays! Self-catering holidays: family and ski holiday rentals in France, Spain and Italy. Book a family holiday of 7-10 nights at any Canvas Holiday campsite to arrive on site between 29 June and 16 August and reduce the price of the holiday by £250. Offer ends 26th April. 90 campsites across Europe. Range of accommodation options nicluding maxi tents, mobile homes, lodges, lux apartments, gypsy caravans and star gazing cabins!!! 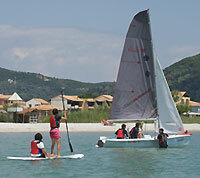 Save £250 on school summer holidays | Canvas Holidays. Book a 14 night holiday and add up to 7 additional nights free of charge. Holiday must be completed on or before 29 June 2012 or start on or after 2 Sept 2012. All nights must be occupied and the cheapest nights will be free. One price for the whole family and free kids clubs. Huge choice of sites across Europe. Special Offers | Three weeks for the price of two | Eurocamp.co.uk. WINTER SKI 2012 -Special offers, last minute and all inclusive deals with Club Med. Book now for a web discount of £100 p/per, and get a FREE Active Pack. Typical free active pack for Vassiliki, on the Greek island of Lefkada includes bike hire, windsurfing & kit hire, dinghy & windsurf RYA tuition, guided MTN bking, kayaking and paddle boarding. Activity Packages. Free Activities For Your Summer Holidays. Tots Too Ski – Offers. 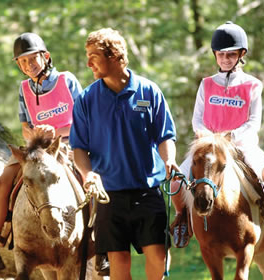 Family Adventures Holidays | Alpine Adventures | Esprit Holidays.